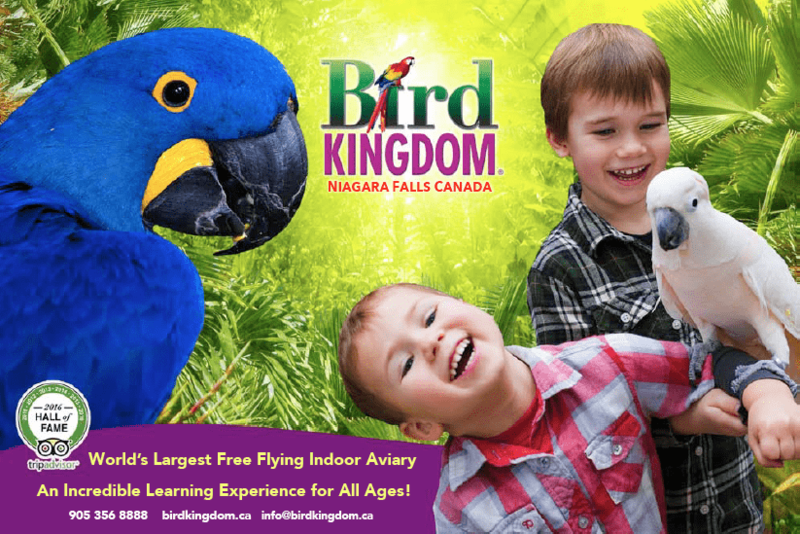 Experience the world’s largest free-flying indoor aviary! Watch exotic colourful birds fly freely in the multilevel rainforest. Wander on the path that starts at the top level and takes you behind the 40 ft. waterfall down to the jungle floor. Tour options include Guided, Self-Guided and Assisted. In addtion to your tour, we offer unique and interactive Educational Programs. Through our curriculum based programming, students develop a greater sense of appreciation for the natural environment and learn ways to help conserve our world. Lorikeet feeding, eating space also available (based on availability).